This rant has nothing to do with health and wellness. And for that I apologize. 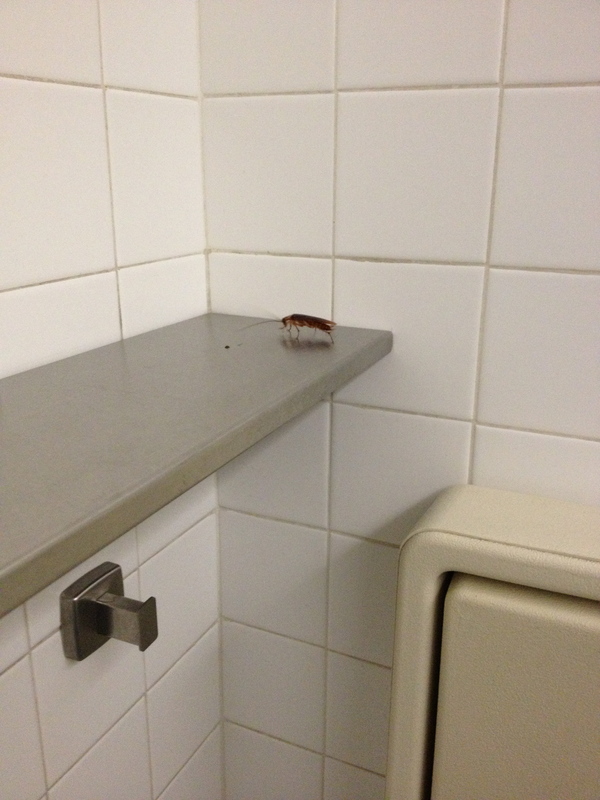 I will not, however, apologize for the full-on freak out session I had in the Philly airport bathroom when this foot-long cockroach joined me in the bathroom! It scurried past on its creepy little legs. I instinctively screamed and simultaneously jumped, pants at my ankles, mid-stream, urinating on my left pant leg and ankle, and crashing in to the stall wall shared by my neighbor. Of course no one in the exceptionally crowed bathroom knew the impetus of my clamor. I tried to act as calm as possible as I exited my stall into the crowded bathroom, squishing by the puzzled looks who had heard my panicked shrieks moments earlier. I grinned as I passed her and waited to hear what the recipient of my stall thought of the terrorist cockroach I had survived, but missed her reaction as I was once again shrieking as I slipped and fell because of my urine soaked shoe. DAMN IT! Philly Airport, you disgust me. I expected better from a city beacon of liberty. Must be training for the beach. I would have done worse than you did.